Unique by design, this 8 oz. leather flask with a folding shot glass is a fun gift for any man on your list. 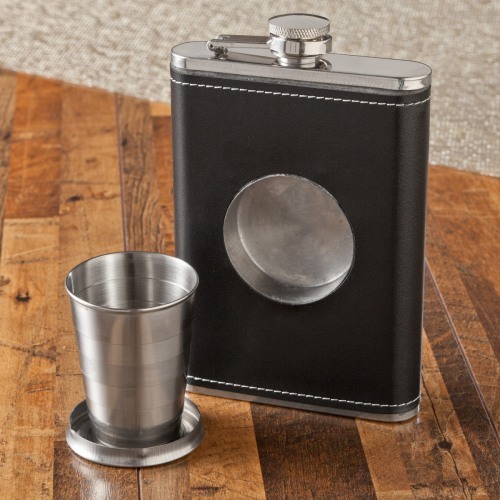 The flask itself holds 8 ounces of his favorite beverage, and the folding shot glass holds up to 2 ounces. Perfect for the stylish man, who likes to take his liquor on-the-go. Add his initial as the finishing touch.